The Swedish Chamber of Commerce in Hungary was established in Budapest on October 27th, 1995. The initiative was taken by a number of Swedish companies in Hungary together with the Swedish Trade Council and the Skandinaviska Enskilda Banken in response to the expanding economic and commercial relations between Sweden and Hungary. 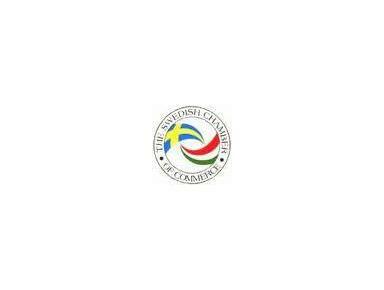 The Swedish Chamber of Commerce in Hungary is a well known, respected and very active non-profit, non-political organisation, a leading voice of the Swedish businesses in Hungary. Since its establishment the membership of our Chamber has grown rapidly; currently we have 60 ordinary members, 9 associated members and 7 honorary members, we employ directly close to 12,000 people, and have throughout the last 12 – 14 years invested in Hungary more than 1 billion euros. The annual turnover of these companies exceeds 2 billion euros. Swedish direct investments during the last five years exceeded 190 million Euros, and totalled to around 600 million since 1990. And the basic concept is that this development shall continue. The general purpose of the Chamber is to promote and contribute to the development of trade and business relations and business related initiatives and activities between the Republic of Hungary and Sweden and to support the business interests of its members. Our task is to support mutual co-operation and friendship between Hungary and Sweden, to encourage trade investments and economic developments and to help our member’s monitor, understand and influence events within the Hungarian business community. The Swedish Chamber of Commerce in Hungary is a forum for the establishment and development of professional and social contacts between its members, both companies and individuals.